In the first week of February 2019, JNF UK hosted a festival celebrating the Hebrew language, as a means to boost Hebrew studies in schools, with a visit to London of the celebrated Tel Aviv-based Orna Porat Theatre. 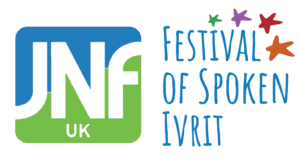 The JNF Festival of Spoken Ivrit is the first Hebrew language education initiative of its kind in the UK, using the medium of theatre to bring the Hebrew language to life. 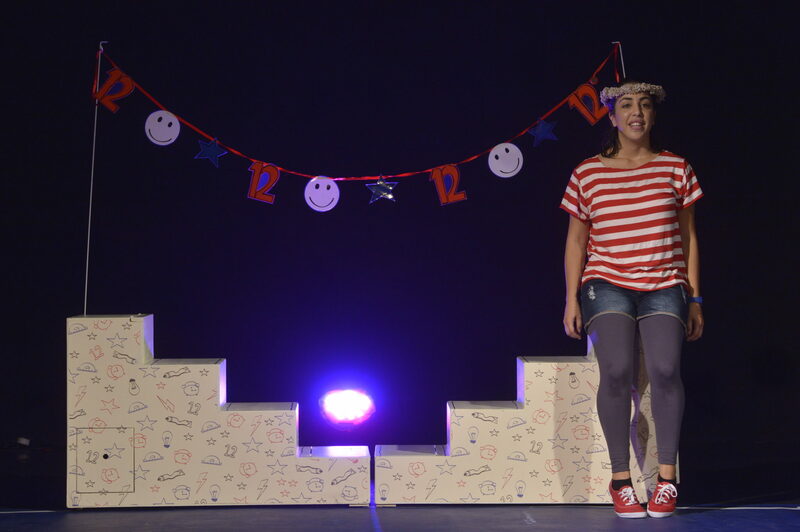 The week-long festival performed at 10 Jewish primary schools, a secondary school and an Israeli Sunday School across the capital between 3-11 February2019, in collaboration with London-based Tzemach Productions. There were also performances open to the public at JW3, the Jewish community centre in Hampstead, and Richmond Jewish Community Hub on Sunday 10 February. The theatre company performed two different plays at each school, chosen according to age group and level of spoken Hebrew. The performances and learning programme were tuned to each school’s Hebrew curriculum. It also supports the National Curriculum languages programmes of study by providing opportunities for students to communicate, understand and respond to spoken Hebrew. A one-person performance about a young girl struggle to redirect herself in a positive way towards a new and better future. How a girl deals with a new start and challenges of coming back to Israel after her family returns from living in the U.S. The festival comes following the launch of our £1.2M grant campaign to boost Israel education In Jewish schools across the UK. Thank you so much for letting Immanuel taking part in this wonderful project. The student and the team was impressed and kept on saying what a wonderful experience it was and how professional it was. On Tuesday 5th February, Immanuel was visited by actors from the Orna Porat Theatre Company from Tel Aviv, who performed for Year 8 pupils their show Wildfire, a one-woman performance about a young girl’s struggle to redirect herself in a positive way towards a new and better future. Comprised of both English and Hebrew vocabulary, understanding was aided by props and pre-show preparation. – Naama Fikalov, Head of Ivrit, Immanuel primary & secondary school. Thank you so much for inviting me to this event. The show was great! This kind of things brings the children closer to Israel and enriches their Ivrit . Thanks for your part in organising such a wonderful event. I just wanted to thank you – on behalf of myself, my Ivrit team and our pupils – for arranging the Ornah Porat Theatre visit. Both shows were extremely engaging for the children, all of whom really enjoyed the experience. The materials that we were sent beforehand were hugely helpful as it enabled our pupils to follow the performances even when they did not understand every word that was being said. I also greatly appreciate how well organised everything was beforehand and on the day itself, which ensured everything ran smoothly and calmly, and the quality of the performers was also truly amazing! With very many thanks – and hoping that you will repeat the experience next year!